Home New iOS device rumors. 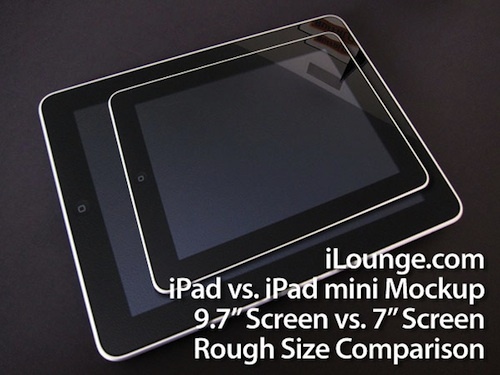 The site iLounge has released images and information concerning to next set of Apple products, which includes a new iPad, iPhone 5 and the next generation of iPod. The iPad, as you can see in the picture, may be getting a smaller screen but no front facing camera can be seen. Since a front facing camera is almost certain on the next generation of iPads, since according to this the OS for it is already been made, this still only remains a possible rumor. Of course, if it the image was faked for the purpose of comparisons, then anything is possible. iPhone 5 will obviously try to clear up any antenna issues that iPhone 4 had BUT Apple may intend to rush this out in early January 2011. It's difficult to believe that Apple would do something like that, but it may be a better approach than pretending it didn't happen and staying on schedule. cough-windows-7-took-far-to-long-to-replace-vista-cough. Still, if it is released in January, the new features may be few and unimpressive. So should they wait another year to release? As a comparison, windows 7 was excellent but took far to long, but if they had released it earlier and it had been terrible, it just makes the problems worse. We will keep you updated on this one. 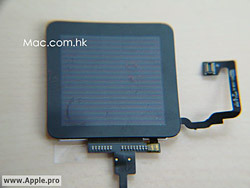 Finally, there will be 3 new iPods, a nano, a touch and what will probably a shuffle that has a 1.7 inch touch screen, as seen here. It will probably be just the touch screen, otherwise it will start to look like a nano. For the iPod touch, it will probably end up being very similar to the iPhone 4, with a camera, though, some argue if it will have both the front and back facing camera or just a back facing one. Few details can provide us with any insight on recent prototypes, but we expect to know in a few weeks or so.